It can not have failed to escape your notice that there are some terrible things happening in the world at the moment ~ the killing of journalist James Foley, the Ebola epidemic that continues to threaten lives and communities, the ongoing conflict in Gaza to name just a few. the first five people who comment on this status with "I'm in" will receive a surprise from me at some point during this calendar year- anything from a book, a ticket, something home-grown, homemade, a postcard..... absolutely any surprise! There will be no warning and it will happen when the mood comes over me and I find something that I believe would suit you and make you happy. These five people must make the same offer on their Facebook status. Once my first five have commented "I'm in" I will forward this message to put on your status. (Don't share it) so we can form a web of connection of kindness. Let's do more nice and loving things in 2014, without any reason other than to make each other smile and show that we think of each other. I replied and now have a team of five (or six if you count my lil' sis who snuck in at the end!) who will receive something from me. Whilst I am under no illusion, opting in is not going to cure world hunger, prevent terrorist attacks or improve the living conditions of millions of people around the world, but it is going to encourage people to shift their focus away from themselves and their own lives and think of others. It is going to promote thoughtfulness, kindness, reflection and consideration. It is not about spending vast amounts of money or showering your team with gifts; it's about thinking carefully and considerately about what might make them happy, what they might need and when they might need it. It could be a book, a voucher, a home cooked meal or even help around the house. It was interesting to see who responded - I ended up with two colleagues, an ex-colleague, a uni friend, a teacher training friend and of course my sister. All from a variety of different backgrounds, different ages; some married, some not; some with children or child on the way, some without; some living nearby, some living abroad. Each of those five will end up with their own five people and so the chain will continue. 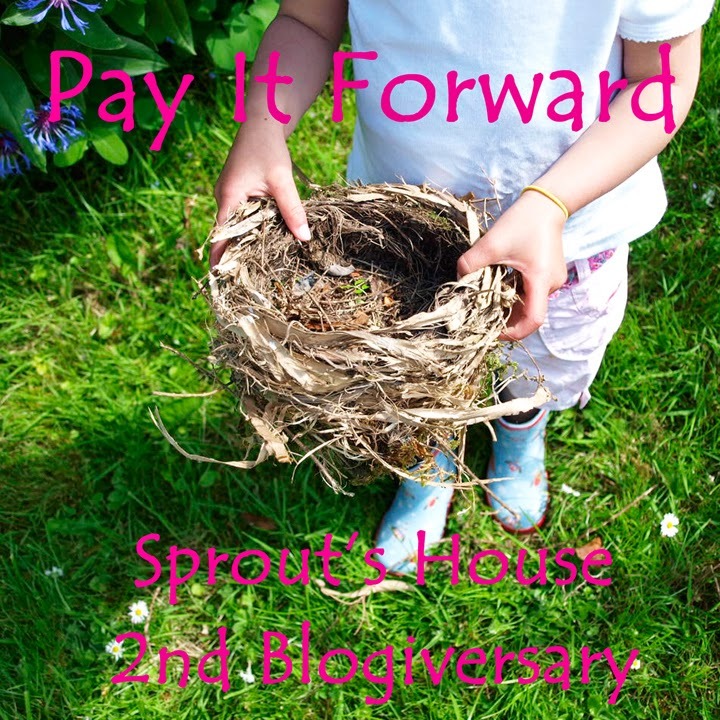 If you see this message pop up in your news feed, why not consider opting in or simply copy the message above and start your own 'Pay It Forward' chain. The more people involved the more happiness and positive vibes that will be generated. If you like what you have read, please share using the pink buttons below! !